Important shipping note: Vinyl is heavy and expensive to ship outside of the USA. You will receive a separate email with the additional $$$ amount required to cover the cost of postage. 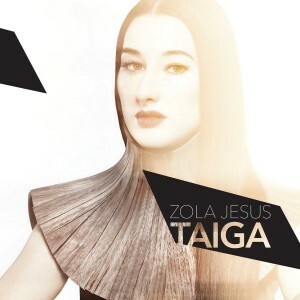 Nika is the sole singer and songwriter behind Zola Jesus many creative incarnations. Written on Vashon Island, WA and co-produced in Los Angeles, CA by Dean Hurley, Taiga is Nika s fourth full-length album release. This album is a transition for Zola Jesus. Masterful layers of composition are bathed in familiar atmospheric vocals, but a new sensibility is deeply present. Taiga is at once challenging and accessible, and is undeniably branded with what Nika terms a piercing ambition. Marbled Colored vinyl version limited to 1000.